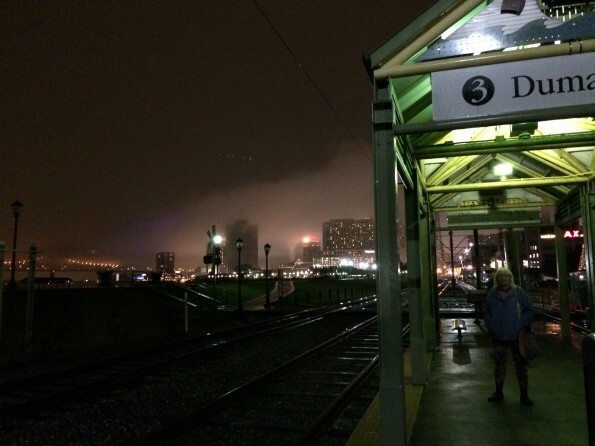 Even if you have never been to New Orleans, you have probably heard about the French Quarter. The French Quarter is one of the oldest parts of the city and this country as a whole and is rich in history and cultural surprises. There’s museums, amazing architecture, blow-your-mind food, and creepy voodoo spots. There are all sorts of fun spots to check out in the French Quarter and I spent a day there doing just that. 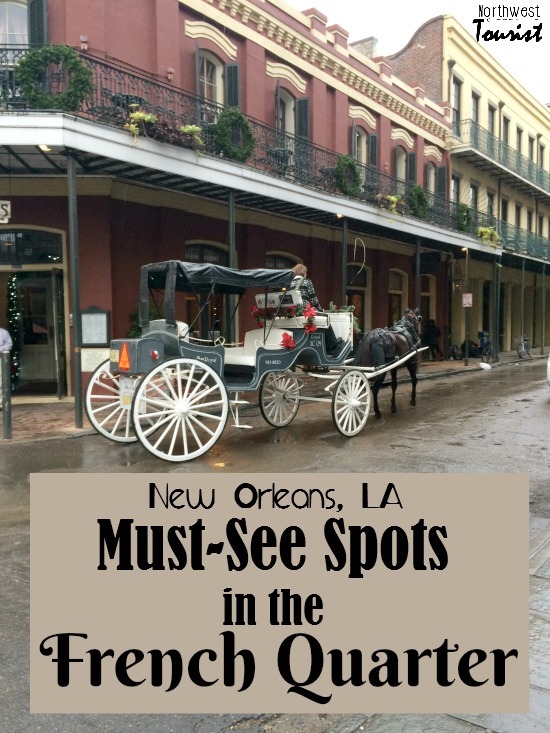 Here is my personal collection of must see places in the French Quarter of New Orleans. 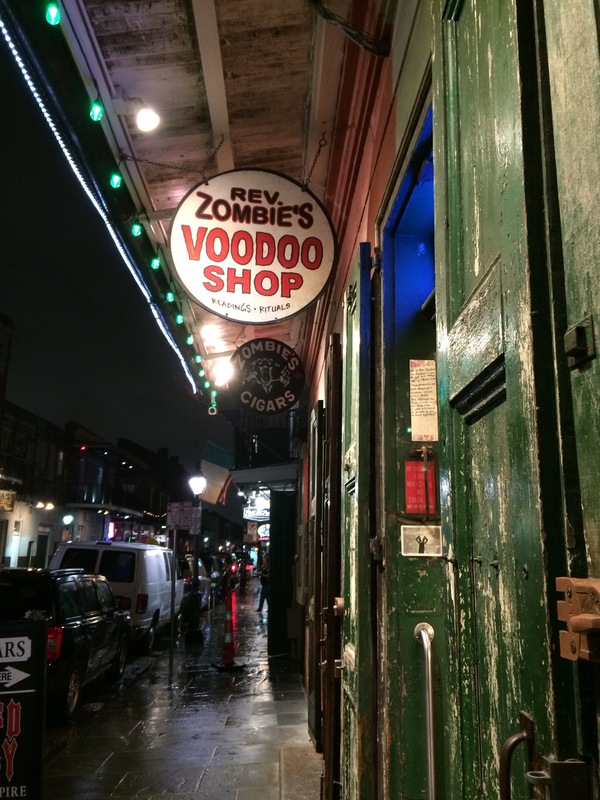 Reverend Zombie’s House of Voodoo– This shop is located in an old building and that adds to the spookiness. While locals consider it a tourist trap, I don’t mind that. It is unlike anything I have seen and I spent a fair amount of time in there. 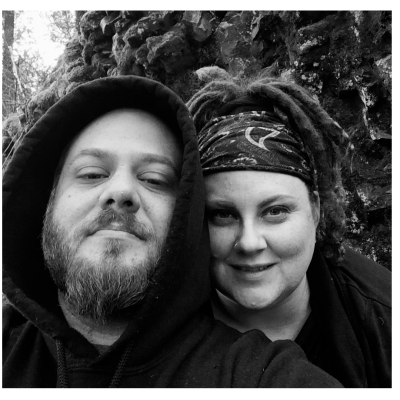 You can buy all sorts of spells, voodoo goods, occult items and cool T-shirts and jewelry. Be careful, though! Like many of the shops in the French Quarter, no photography is allowed and will get you the boot. 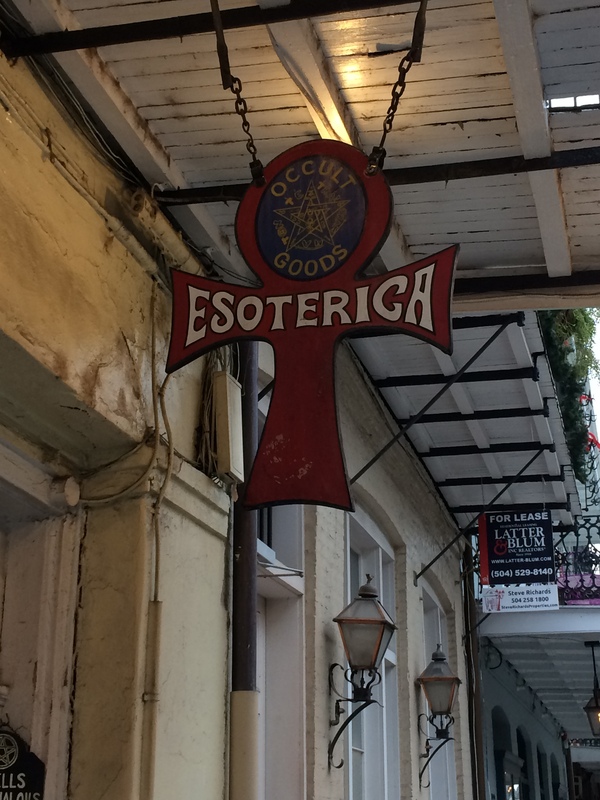 Esoterica Occult Goods– Hex is a neat occult goods shop with all kinds of books, spells, spell making materials, candles and oils. The folks that work there will help you with spells you want to make and they have some pretty great things to look at as well. No photography. 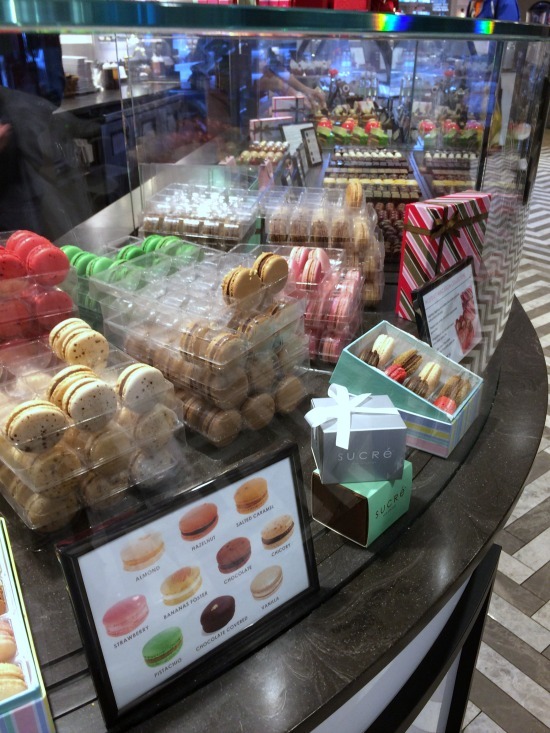 Sucre– I was absolutely enamored by the beautiful chocolates and hand-made sweets here. There was some absolutely fabulous treats here almost too beautiful to eat. They make handmade marshmallows, too. I bought a bag and they barely made it home. 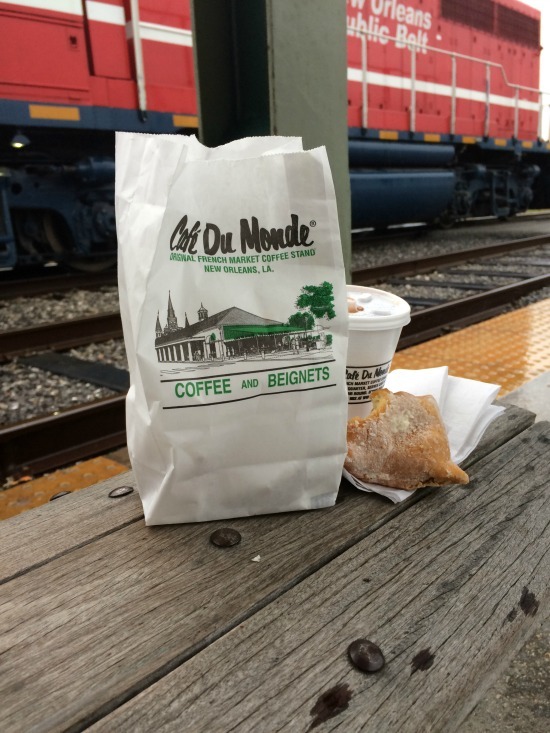 Cafe Du Monde– This is the most famous place worldwide in the French Quarter. The birth place of Cafe a late and famous for their beingets, (french donuts) if you are going to be in the French Quarter, you have to stop here. You can have the cafe a late, or you can try a NOLA favorite, Chicory Coffee. I recommend the hot chocolate as well. I was lucky that it was a perfect day to be there as it was rainy and hot chocolate was just the ticket. 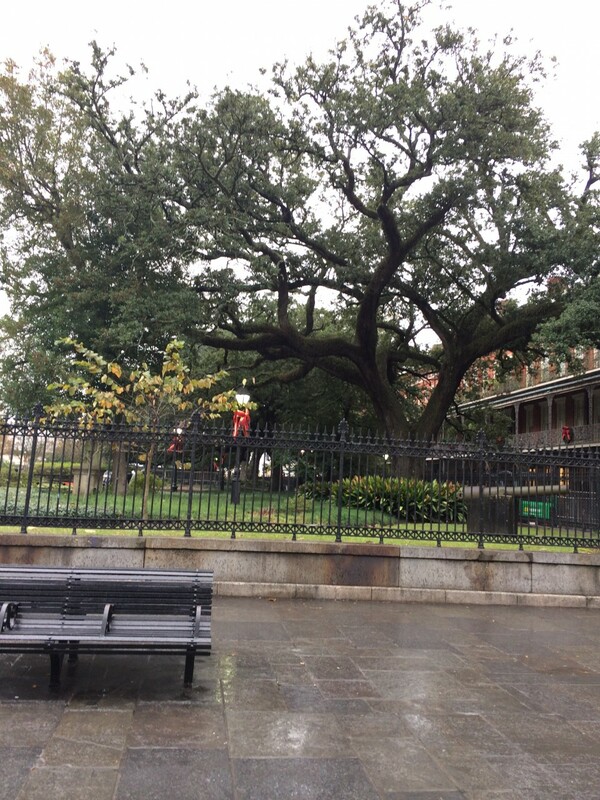 Jackson Square– Jackson Square is a spot in the middle of the Quarter that is a park with beautiful old trees and foliage as well as a brick market square and art. 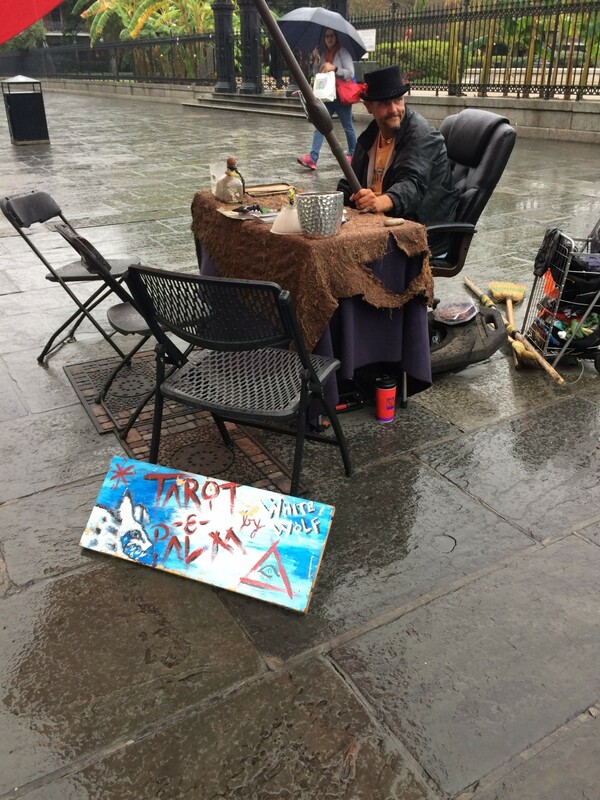 When I was there, a couple of tables were set up by those doing palm and tarot readings. It is a great place to check out some of the awesome architecture. 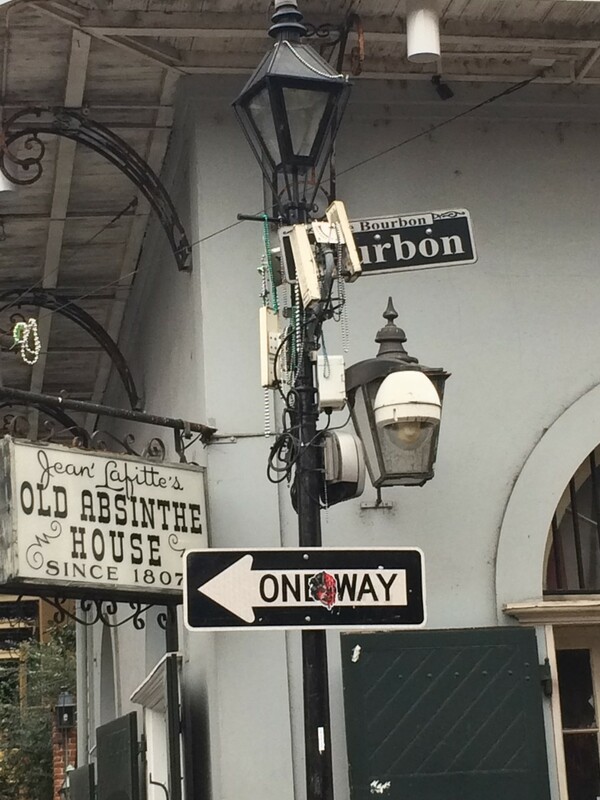 Frenchman Street– This is a three block section of the upper part of the French Quarter best known for it’s open bars and live music. 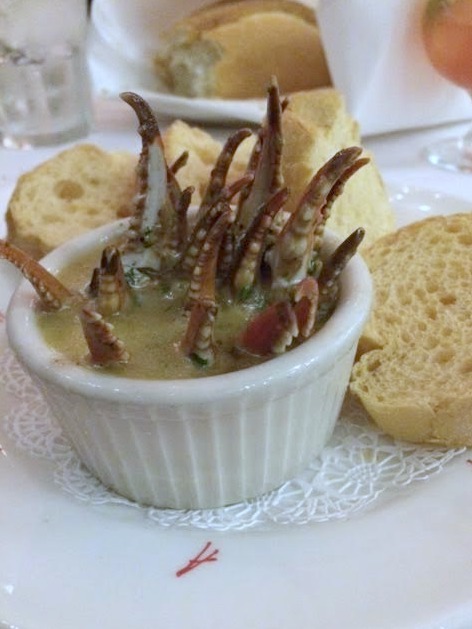 Arnaud’s– I ate at Arnaud’s at the beginning of my trip and it was quite an experience. The place is historic and absolutely fine dining, complete with table side cooking. Find classics like Bananas Foster and enjoy all kinds of delicious creole cuisine and drinks. Bourbon Street– This is the place most people think of when they think of not only the French Quarter, but the whole city of New Orleans. It is famous for it’s celebration of Mardi Gras and is at the heart of the Quarter, stretching for blocks. Still lively year round, the street boasts many bars and entertainment spots. 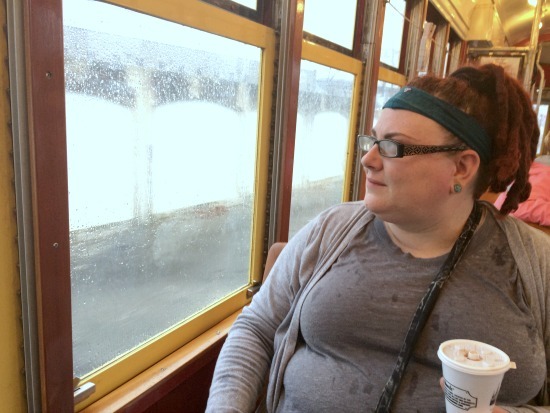 The Streetcar– The famous Streetcar in New Orleans is one of the best ways to get around downtown and the French Quarter as well as get to the spooky cemetery tours in the city as well. 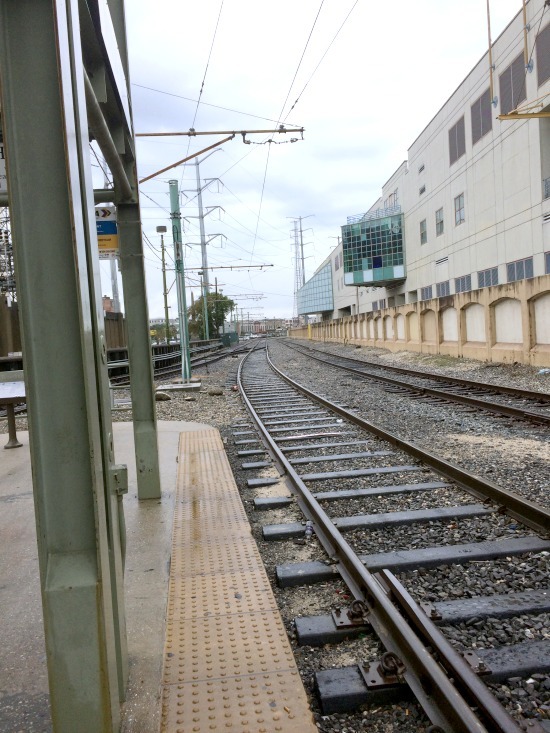 The price is just right, too at just $1.25 each ride.Cars run various hours but very frequently. You can expect one every few minutes in most spots in the French Quarter. 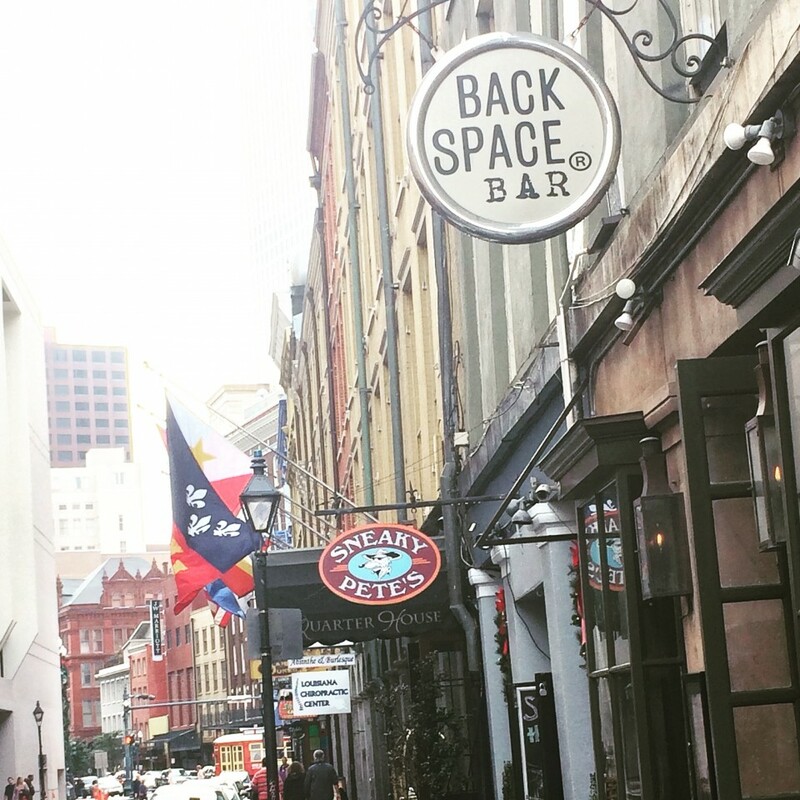 The Back Space Bar– This as just one of those spots we stumbled upon, but it was the kind of place that I was glad I did. On the surface, it looks like a cramped little bar, but it had some of the best food I ate while I was there. We tried the Poutine Chips and a couple of Sandwiches and no joke, they were phenomenal and completely unexpected. 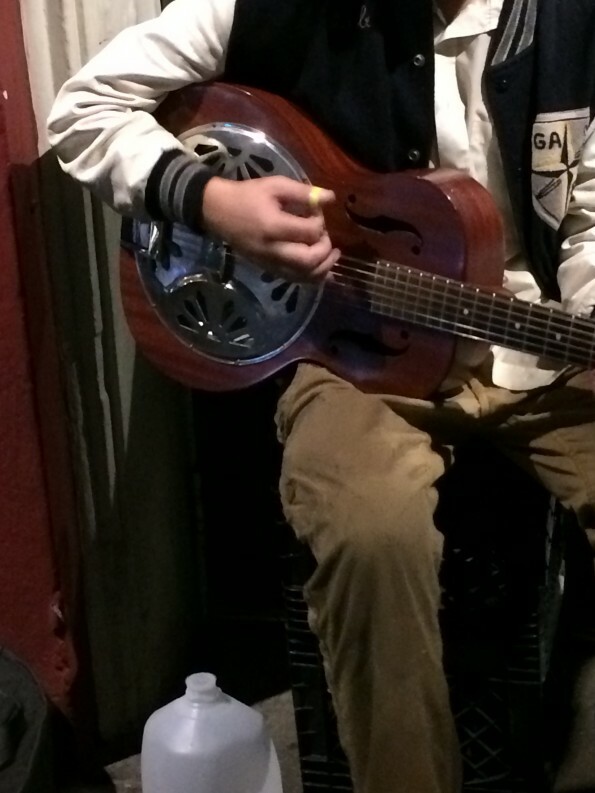 Also worth mentioning; there are lots of great street performers in the French Quarter. Take your time and listen to them and drop a tip in their music case.